Penny is an AGA owner although she grew up cooking on a solid fuel Rayburn. In 2011 she won the title of ‘Britain’s Best Starter Dish’ after appearing on ITVs Britain’s Best Dish. Penny has cooked for Michelin awarded chef John Burton Race and at The Savoy Hotel in London. An avid supporter of local produce, Penny specialises in developing seasonal recipes with the best of British ingredients. She is Food Editor of regional magazine ‘Streets Ahead’ and a constant visitor to the farmers markets, devising recipes to include local produce for everyone at home to create. 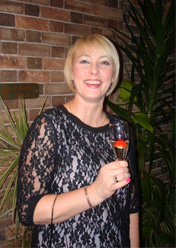 Penny is also a respected restaurant critic in the Midlands area and a regular on judging panels to taste local foods.